Dr. Wen-der Yu is a Professor of Construction Engineering and Project Management with the Department of Construction Engineering at Chaoyang University of Technology. His education includes BS degree from the Department of Civil Engineering of National Central University, Taiwan, MSCE and Ph.D. degrees from Purdue University. After graduating from Purdue University, he worked as a Senior Engineer with the Bureau of Taiwan High Speed Rail (BOTHSR) where he was in charge of project time and cost controls. Since his master research, Dr. Yu has specialized in Artificial Intelligence (AI) technique applications and computer aided support tools in Construction Engineering and Management (CEM). His current technical interests focus on construction Business Intelligence (BI), AI supported project management, and construction technology innovation based on patent analysis. His recent researech interest focuses on Building Information Modeling (BIM) related topics. He led a research to develop the first offcial BIM Guide in Taiwan, TW BIM GUIDE. 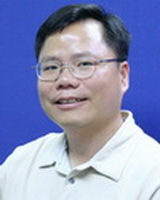 At both Chaoyang University of Technology and Chung Hua University, Prof. Wen-der Yu developed one of most unique construction technology research labs, Business Intelligence Lab (BIL), in Taiwan. He developed Web-based Intelligent Cost Estimator (WICE) system for Chinese Engineering Consultants, Inc. (CECI). He also developed Performance Improvement Strategy Planning (PISP) model for performance evaluation and improvement of knowledge management system (KMS) for consulting firms. His recent work with BIL has focused on the development of Proactive Problem Solver (PPS) system for emergent problem solving of construction firms. Previosuly at Chung Hua University, Prof. Wen-der Yu also introduced the International Project Management Systems (including IPMA and PMI) to the Institute of Construction Management. He also serves as: Convener of National Construction Project Management Development Taskforce, Taiwan Project Management Association (member of IPMA); Chairman of Technology and Research Development Committee, Chinese Construction Management Association (CCMA); Member of Engineering Management Committee and Cross-Strait Collaboration Committee, Chinese Institute of Civil and Hydraulic Engineering (CICHE); Member of Research and Development Committee, Institute of Engineering Education Taiwan (IEET). He also served as Associate Editor-in-Chief, Journal of Construction Management (CCMA); Guest Editor, Civil and Hydraulic Engineers (CICHE); Editor of Proceeding of the Seventh Cross-Strait Collaboration Conference for Construction Industry . He has been a reviewer for many international academic journals including Automation in Construction (EI, SCI); Journal of Construction Engineering and Management , ASCE (EI, SCI); Journal of Materials in Civil Engineering, ASCE (SCI); Journal of Chinese Institute of Engineers (SCI); Construction Management and Economics (EI); Journal of Civil and Hydraulic Engineering (EI); International Journal of Business and Information ; International Journal of Construction Management ; Journal of Marine Science and Technology . Dr. Yu received the Annual National Oversea Scholarship (1991), Ministry of Education; the A-Class Research Award (2000), National Science Council; Best Paper Award of the 2003 Sewage Engineering Practice Conference; 2004 Visiting Scholar Grant (to Reading University, UK), National Science Council; the 2006 Annual Best Paper Award on Construction Management, CCMA; the 2006 Annual Distinguished Research Award, Chung Hua University; the 2007 Distinguished Civil Engineering Alumni, National Central University.